After we finished our renovation this Fall, my top priority was to organize the house from top to bottom, inside and out including the garage! Organization is truly one of my passions and keeps my head clear and life running smoothly! I enlisted the help of Valerie at Neat Method in Dallas to help me create organizational solutions that worked for our growing family of six, and I can’t tell you how much this organization has improved our family’s everyday life. The first project was our garage that serves as a storage space for all the miscellaneous items that don’t need to live inside the house. 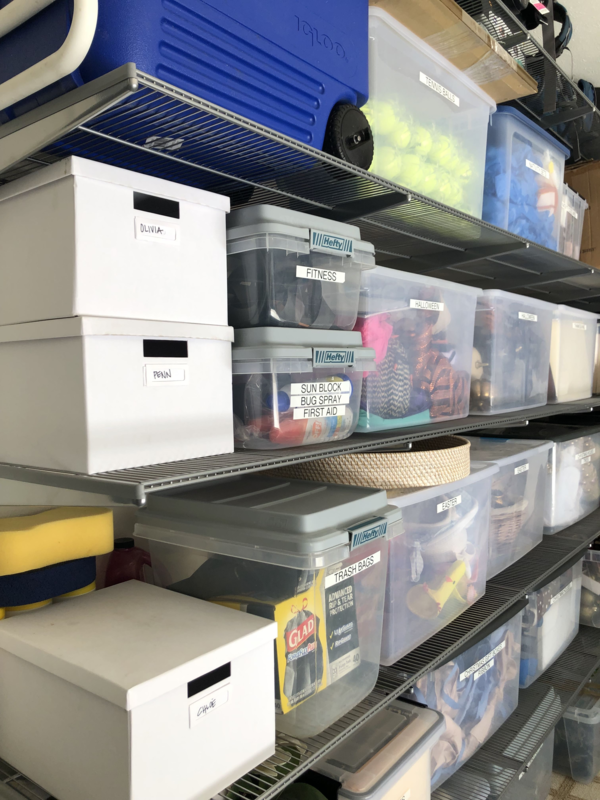 From holiday décor to hand–me-downs, sports gear and tools the garage is home to a wide range, and we needed a way for it to be organized and easily accessible! 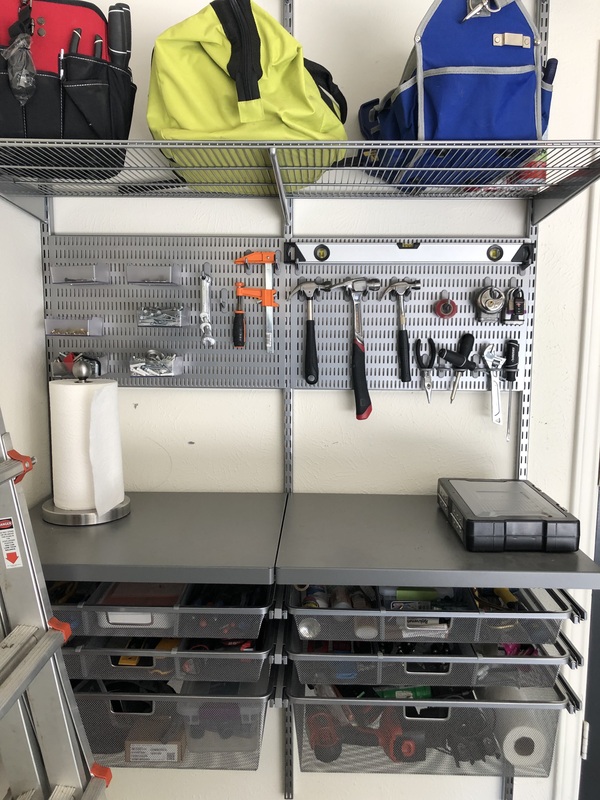 Valerie suggested using an Elfa utility shelving system from The Container Store so all of our items could be elevated off of the floor but still reachable, and I could not be happier with how it turned out! 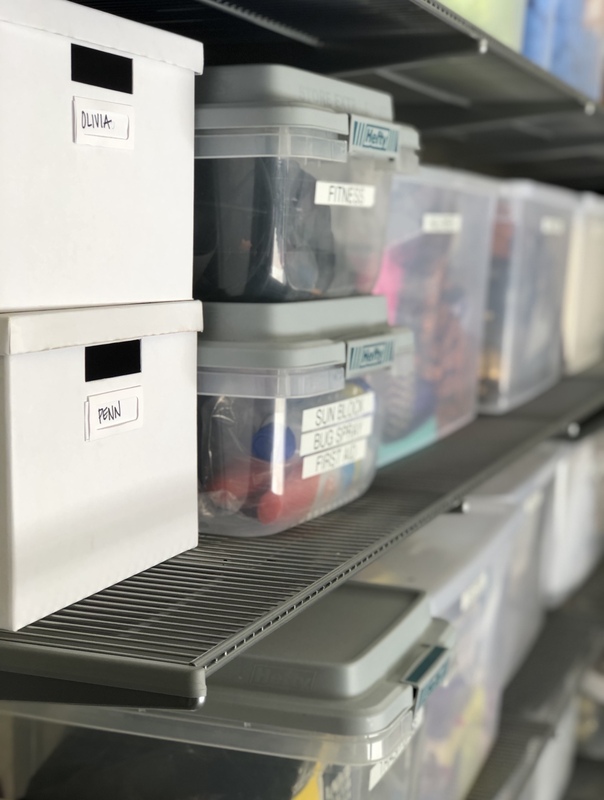 All of our items are packed perfectly in see through, labeled bins, so no more confusion opening and tearing through brown boxes searching for our holiday decorations or that missing pair of gloves! We also installed an Elfa workstation that is my husband’s favorite part of the garage! With drawers to house all our tools and a utility board to hang items that need to stay out of reach of little hands, I cant believe we ever lived without this! It is so compact and functional and the drawer feature is amazing! The Container Store is having a huge sale on all Elfa product including 30% off installation right now, and I have a few new projects (a gift wrapping station is at the top of my list!) that I am itching to get done before the sale ends!